As you probably already know, baccarat is a card game played between a “banker” and “player” which is very popular among casino goers who like a bit of a different challenge. Baccarat differs from traditional card games such as blackjack and is the game of choice of James Bond, everyone’s favorite spy. The game between the player and banker can end in either of them winning or in a tie. There are 3 popular versions of baccarat you can pick from – punto banco, the popular baccarat chemin de fer, and baccarat banque. Due to the difference between baccarat and other card games, it’s vital to learn the rules of the game first. Of course, you’ll also need to practice the game a lot before stepping into a casino and testing your mettle against a real “banker”. First things first, you need to pick a good casino before entering the world of baccarat. Analysis such as this Ignition casino review by blackjack.org can help. Once you’ve identified your choice and learned the rules of the game, you can have fun. If you picked an online casino, read the T&Cs before playing as many casinos don’t count baccarat toward the wagering requirements. For any casino game, you need to set a bankroll and stick to it, unless you want to spend all your money in one night. Baccarat is no exception – the game is pretty fun and there’s the opportunity to win big, but if you don’t manage your bankroll, you’ll be out of money before you know it. 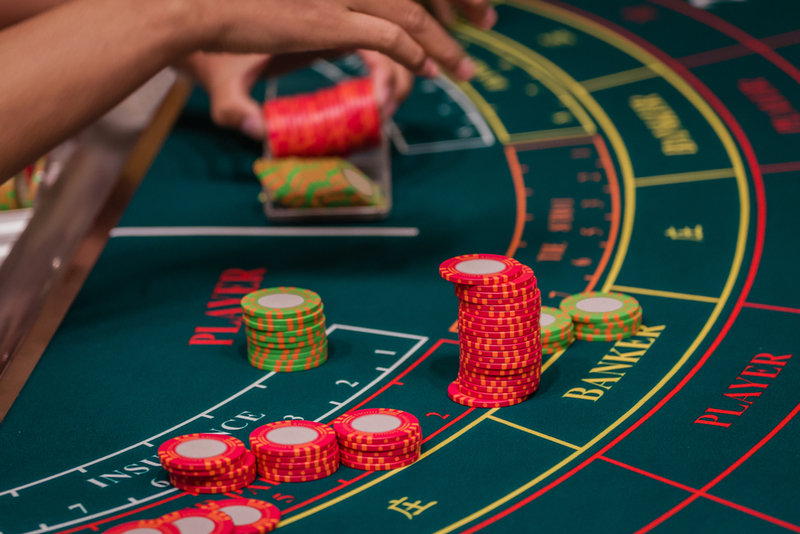 Bending the rules of the baccarat strategy you’re using will only lead to huge losses. It doesn’t matter if you’re winning or losing – just stick to the strategy you’ve chosen if you want to prevent going bankrupt. Many players are tempted to boost their bets after a losing session or change their strategy, which is the wrong move. If you’re losing too much, quit while you’re ahead and try again next time. Keeping the sessions short will prevent you from chasing your losses and let you live to fight another day. Set a limit, for example playing 20 games and walk away from the table after you’re done, accepting your losses or profit. Remember – a perfect strategy that can overcome the house edge doesn’t exist. It will get you sooner or later, so it’s best to quit before it happens. Many newcomers are tempted to bet on a tie when they see an attractive payout. This is a trick – casinos often use high payouts as they’re aware you’re going to lose when betting on the tie. Betting on the player is always the better option. The chances of a tie in baccarat are pretty slim, so there’s no point in spending your money on a bet that’s already lost.